The leader of the Opposition in the Assam Legislative Assembly, Debabrata Saikia, has shot off a letter to the Chief Minister, Sarbananda Sonowal, seeking his “intervention” in the matter relating to the Golaghat district administration directive asking the Kaziranga National Orchid Park (read the people running the show) for relinquishing of 6 bighas of land reportedly encroached by it. Saikia said that the Park had been allotted 22 bighas of land on the recommendation of the local Land Advisory Committee and despite the Krishak Mukti Sangram Samiti (KMSS) leader Akhil Gogoi, whose brainchild this was, being a vociferous critic of the Congress, the land had been alloted during the tenure of the erstwhile Congress Government in the State for the project. “The act of allotting land for Gogoi’s project was done in the best spirit of parliamentary democracy because we believed then and continue to believe today that a good initiative deserves to be encouraged even if it comes from your fiercest opponent,” the letter stated. 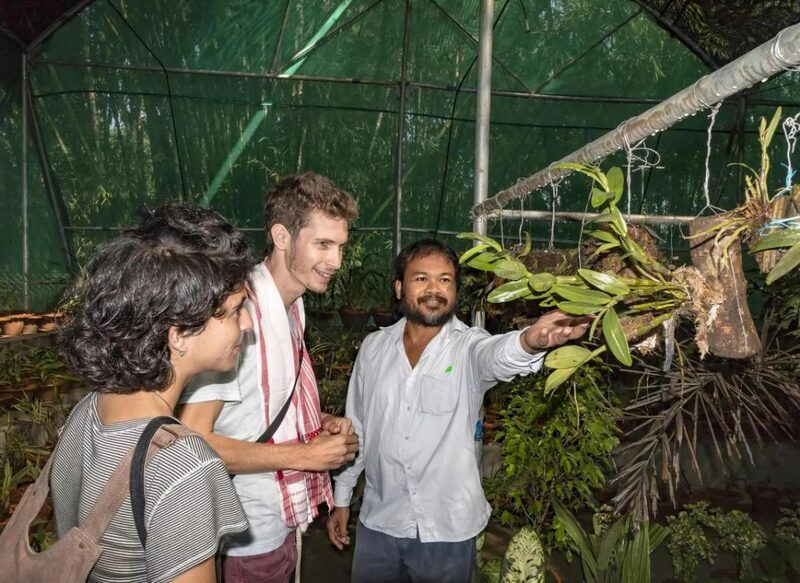 Saikia further said that the Orchid Park which was run under the cooperative system had become an ideal tourist attraction and a source of dignified self-employment to about 100 persons of the area within a short time. Consequently, the move to wrest back a small area of land leaves ample scope of inferring that the Government’s motive is “malafide”. Saikia said that the area was neither Village Ground Reserve (VGR), Professional Grazing Reserve (PGR) nor reserved category of land and going by the fact that this was an innovative initiative and successful story under the cooperative sector, the natural thing to do was to allot the six bighas of land. Moreover, he said that under Section 5.2 (iii) of the Land Laws of Assam it was clearly stipulated that preference should be given to cooperatives of indigenous unemployed youths when it came to land allotment. Similarly, Section 5.3 of the Land Law mentions that the maximum ceiling for allotment of land for special cultivation is four hectares in case of individuals and aggregate of the holdings of the number of members in case of registered cooperative society. This meant that the Kaziranga National Orchid Park was entitled to much more than the 28 bighas of land. water body teeming with indigenous fish species and weapons and artefacts of the Gorkha community”. Saikia concluded his letter to the CM by saying that “in view of the above factors, I would like to request your personal intervention into the matter in order to ensure that the Government’s displeasure with Akhil Gogoi does not result in harm being done to an inspirational initiative. On the contrary, I would urge you to add the additional six bighas to the pending proposal pertaining to the Park which was forwarded by the local Land Advisory Committee and have it approved as soon as possible and preempt the threatened eviction drive by the Golaghat administration”.